Our Encinitas Mission Style Pub Table is the perfect home for your post-game bragging sessions in custom hardwood comfort with your best bar chair. Available in 36” pub or 42” gathering height, your Encinitas Table is handcrafted by the Amish entirely of renewable American hardwood. Your table top is one full inch thick, completed with your desired stain in your requested hardwood, and topped with a water resistant catalyzed finish. Two optional leaves can be included to seat six. Your Encinitas Pub Table will never lose its footing with levelers installed in the base of each custom leg. 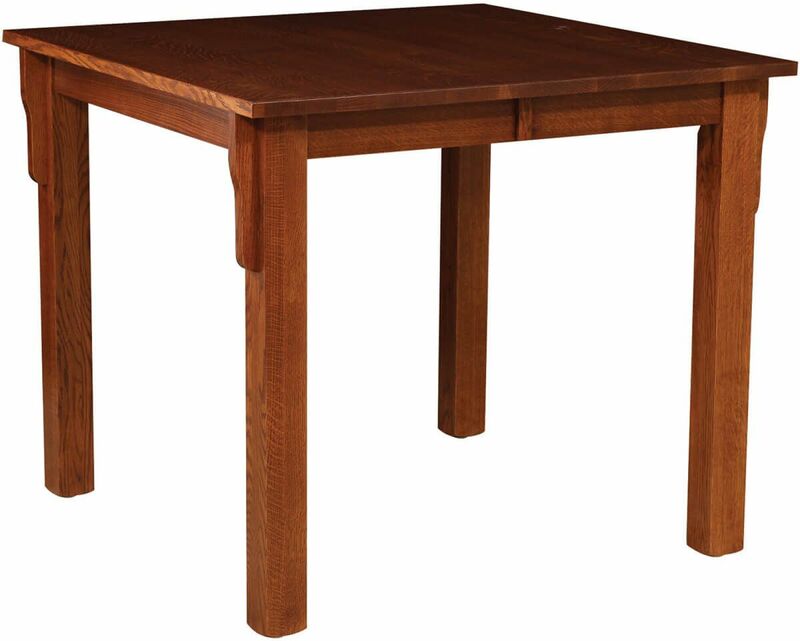 Unwind with the Encinitas Pub Table in your home. Select from the choices below to create a one-of-a-kind dining table that will be in the family for generations. If you prefer the look pictured, simply order in Quartersawn White Oak with a Sassafras finish.